With the TruClose standard series of gate hinges, you can have a top quality hinge without having to pay a premium price. The model E-Tru-Close-Hinge comes in black, with a black trim finish, 2 side fixing legs and is designed for use with metal gates. This item is sold as a pair. This item is sold as a pair, you will receive 2 units. You should never settle for anything less than the very best hinge for your gate. With the Elite TruClose standard series of gate hinges, you can have a top quality hinge without having to pay a premium price. 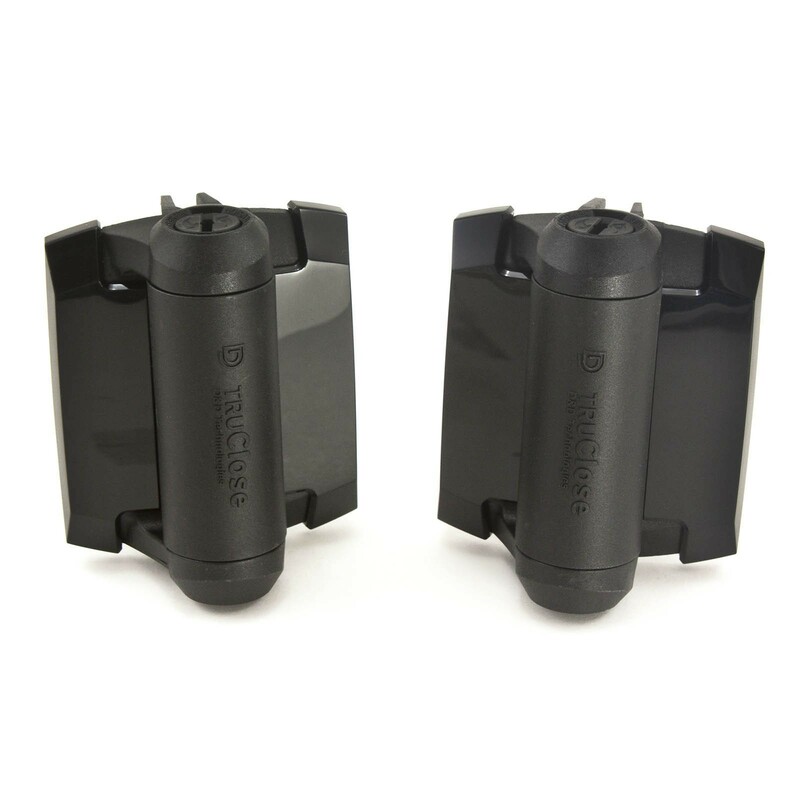 The TruClose series of gate hinges give you that fancy self-closing action, along with dual adjustability for both gate weight and closing speed. These gate hinges feature improved strength and advanced tension adjustment features making it one of the most reliable self closing hinges available on the market today. 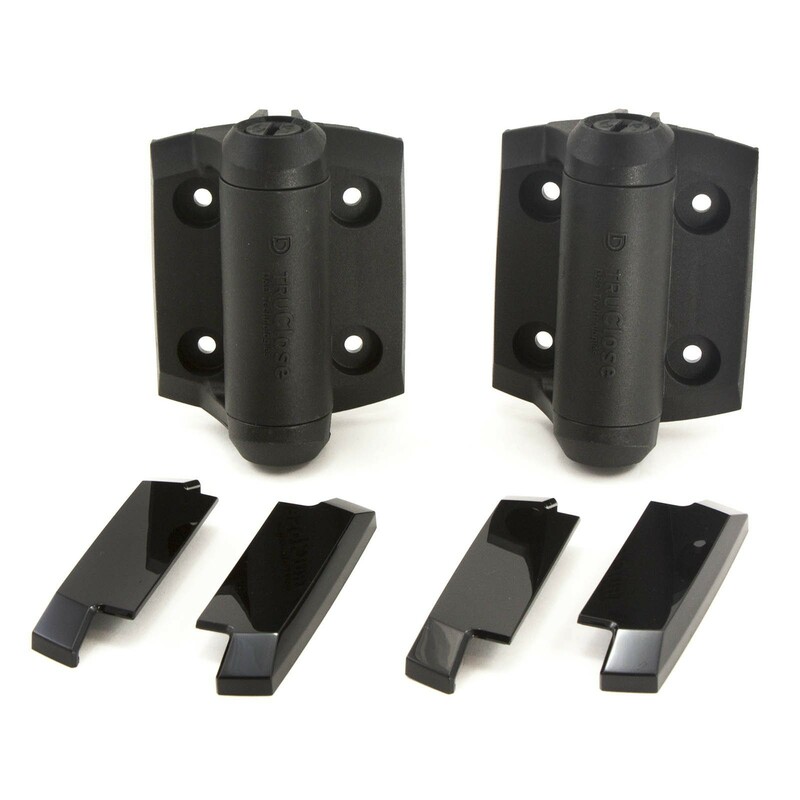 The TruClose hinges also offer an optional decorative trim cover (black, brushed, or chrome), allowing you to match your hinge with other yard accessories or gate hardware. 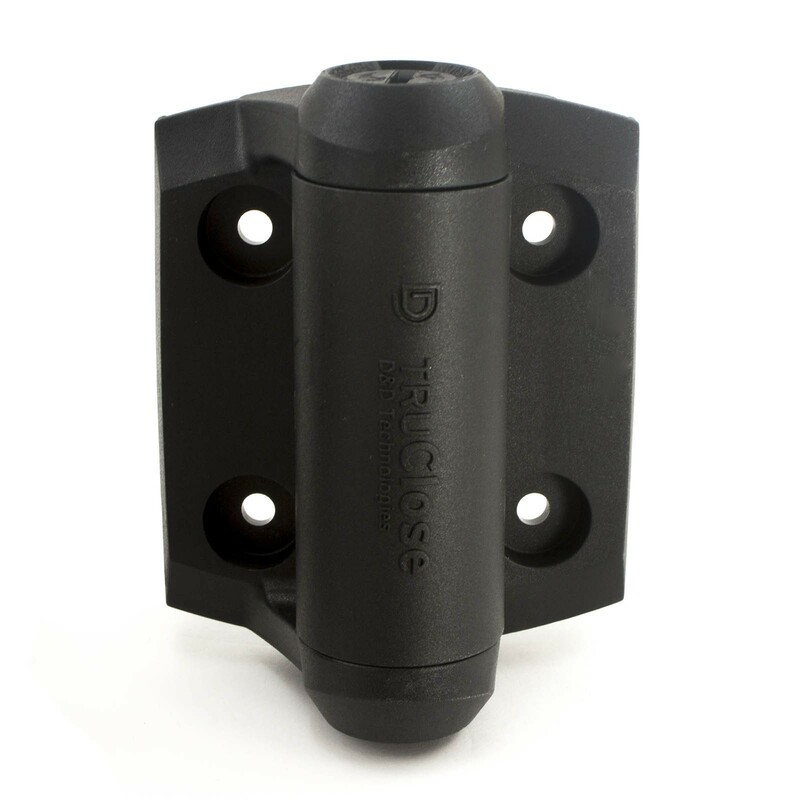 Manufactured out of strong, molded polymer & stainless steel, the TruClose hinge won't rust, bind, sag, or stain, and also include a lifetime limited warranty so you can rest assured that your investment is protected. This TruClose hinge fits a fixed gate gap size of 3/4". The maximum weight gate for the self-closing feature for the Standard series is 66 lbs, for gates up to 154 lbs please see the TruClose Heavy Duty series. The model E-Tru-Close-Hinge comes in black, with a black trim finish and is designed for use with metal gates. This model also features side legs which not only make aligning the hinge on the gate and fence post incredibly easy, they also add extra strength due to their additional fixing points.